Greg Hocking approached the agency to get their brand in order. 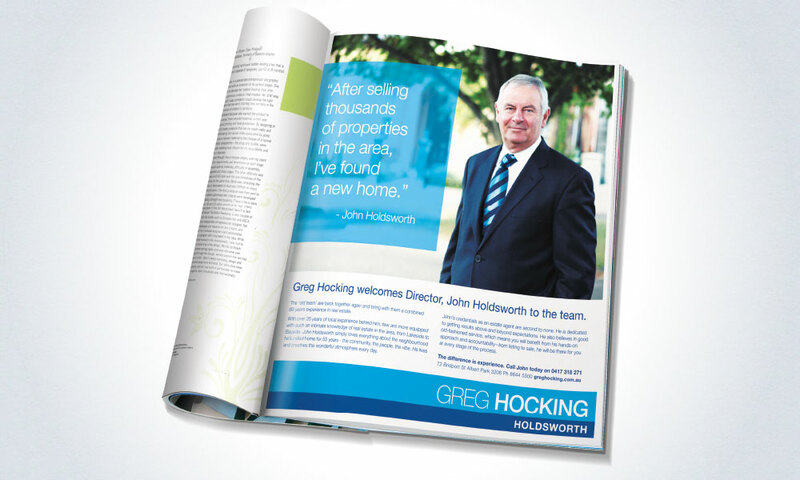 After the success of the Hocking Stuart brand he sold, once Greg Hocking wanted back in the industry he knew he needed a strong stand-out brand. Having had an initial logo designed that he was mostly happy with, we were charged with the challenge to simply improve and refine and ensure that franchisee’s names could be added without detracting from the core brand. We worked hard but swiftly and gave him a unique and boldly designed suite of collateral to ensure they would cut through the heavily saturated real estate market.